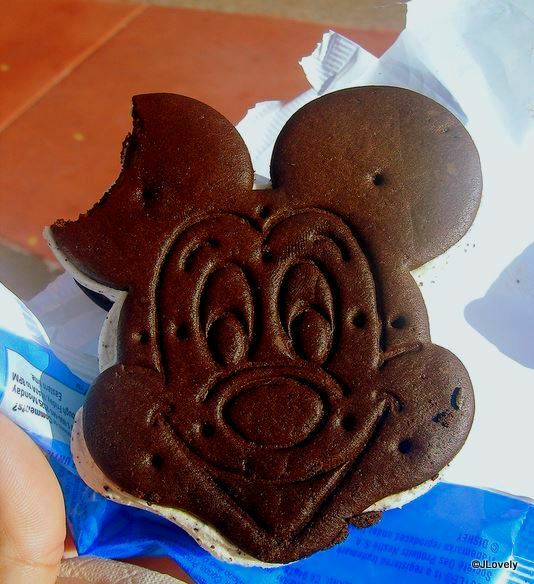 It’s no secret — we are BIG fans of Disney Ice Cream Sammies around here! And judging from some of the supercalifragilistic — well, you get my drift — pics that YOU have posted on Disney Food Blog Photo Extravaganza, you are, too! There are so many kinds of ice cream sandwiches to choose from! 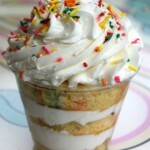 Today, we’re sharing some of your crave-inducing photos as a thank you! for all of our readers who continue to share your great Disney food experiences on our Flickr page, Disney Food Blog Photo Extravaganza. Let’s see what’s new! In short order, L’Artisan des Glaces in Epcot’s France Pavilion has become one of our favorite snack spots. It’s only been open since last year, but we can’t make it around World Showcase Lagoon without some of their ice cream, churned from scratch right on the premises! Their custom made Pressed Brioche Ice Cream Sandwiches are some of our favorite hot-meets-cold treats! Fancy, new options are always awesome. 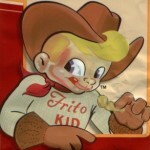 But I love to throw in a classic item, too, while I’m snacking my way through the parks. 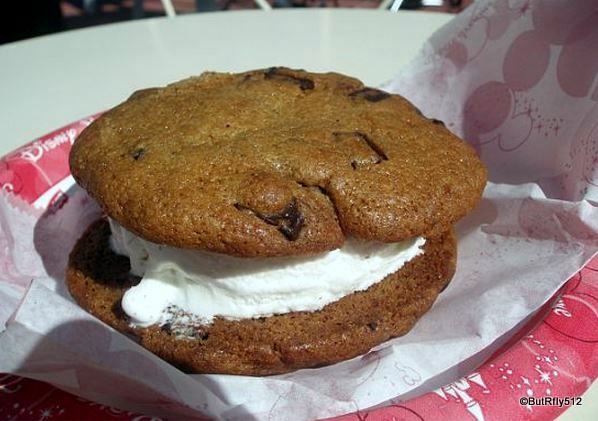 And some days, you just can’t beat a Mickey Premium Ice Cream Sandwich! One of my favorite things about these treats? You can find them almost anywhere at Disney. 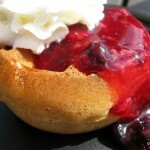 Whether you’re in the parks or resorts…Disney World or Disneyland…you can always find this deliciously simple treat. But then, how can you improve upon perfection? Because IMO, that’s what two big, soft, freshly baked cookies plus ice cream equals! It’s hard to top this yummo combination. And whenever I have a chance to grab one from Sleepy Hollow Refreshments in Magic Kingdom, I take it! Many thanks to all of our readers who share their incredible images on Disney Food Blog Photo Extravaganza! All images are copyrighted to their photographers. Do not download or re-use without photographer permission. 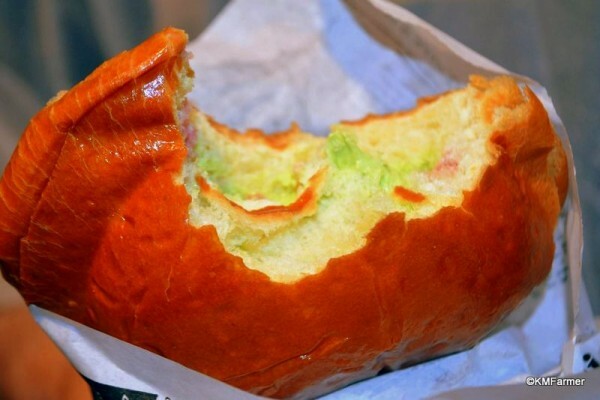 We’d love to see what you’re eating at Disney, too! 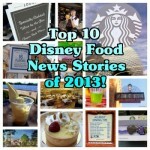 Just head over to Disney Food Blog Photo Extravaganza and share your best shots. Your pics might be the next ones we feature! 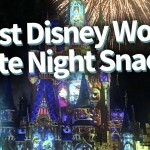 If you’d like to see more Disney Food Pics of the Week, just click here! The brioche ice cream sandwiches are the BEST! I always go for caramel ice cream and chocolate sauce. YUMMY!!!! My first time having a photo published on DFB. Feeling so famous 🙂 Thanks!